Is there a Barbados zoo? No, actually we have something even better - a wildlife reserve! The Barbados Wildlife Reserve is located in a natural mahogany wood across the road from the Farley Hill National Park in the northern parish of St. Peter. Here you have a unique opportunity to stroll freely through the Reserve watching the animals at close range and in their own natural environment. There are few cages and the animals can be observed as they eat, play and interact with the other animals. Most of the animals move quietly and it's easy to miss the gentle deer and even the peacocks if you're not paying attention. It's a self-guided tour so there is no need to rush; you can take your time, exploring at your own pace, and re-visiting your favourite animals. What types of animals will you spot here? 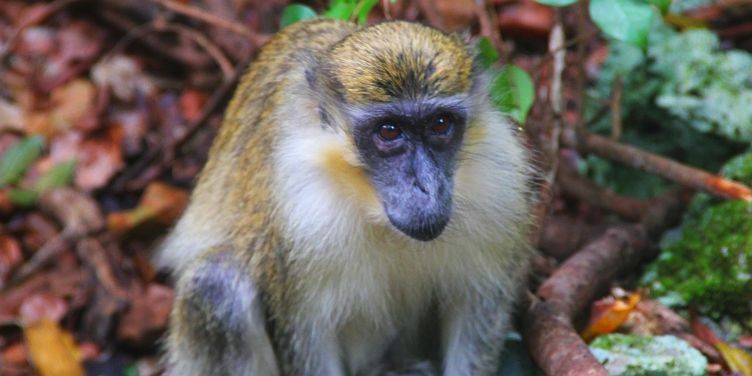 The Barbados Green Monkeys are common and are especially popular at the afternoon feeding time. Note that the monkeys are free to leave the reserve and often do so during the day. The walk-through aviary features a wide variety of colorful birds such as parrots, macaws and love birds. Duck and geese roam around, while black birds, sparrows and pigeons fly in and out of the reserve. Reptile lovers will appreciate the collection of snakes (these are in cages! ), iguanas, turtles and tortoises. The snakes love to sleep under the banana leaves, so don't think that the cage is empty if you don't spot its inhabitant on first glance. Non-native animals include the Brocket Deer, agouti, caiman (looks like an alligator) and rabbits. This is a great Barbados attraction for the whole family, with children in particular having a wonderful time. 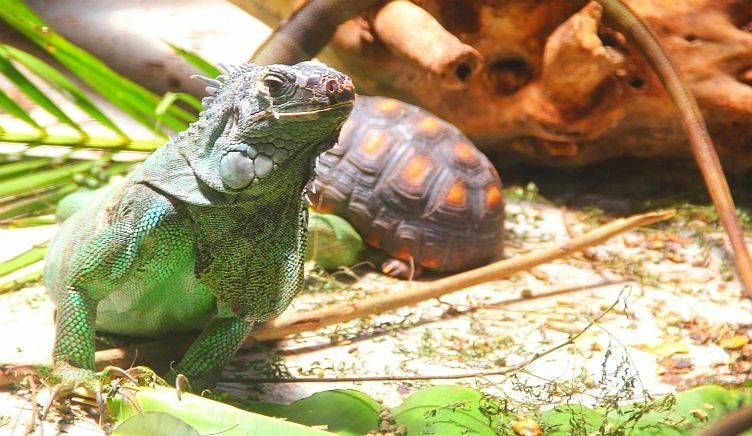 Your entrance fee to the Barbados Wildlife Reserve also gains admission to the adjoining Grenade Hall Forest and Signal Station so be sure to head over there once you've completed your tour of the reserve. Want to visit the reserve? Join the Natural Wonders of Barbados Tour. To discover more about the wildlife in Barbados, take an island tour.